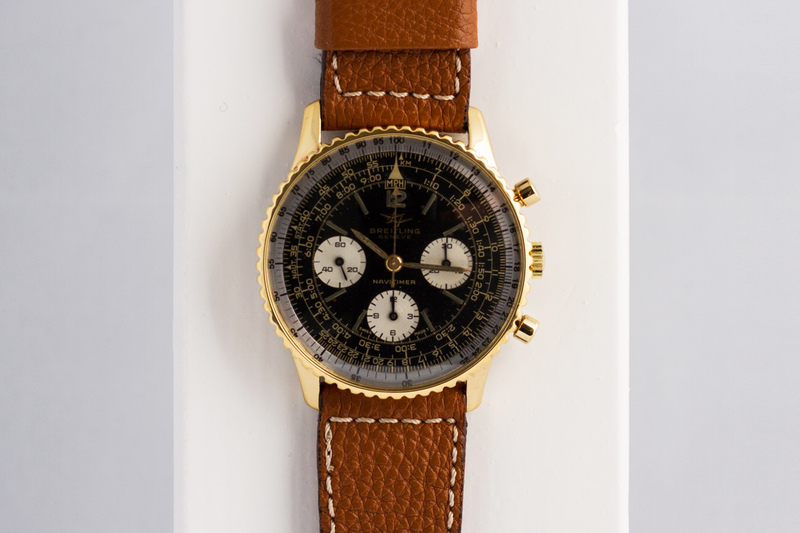 We are happy to offer you this wonderful and hard to find gold-plated Breitling Navitimer 806. The watch, and especially the gilt dial are in an outstanding condition! 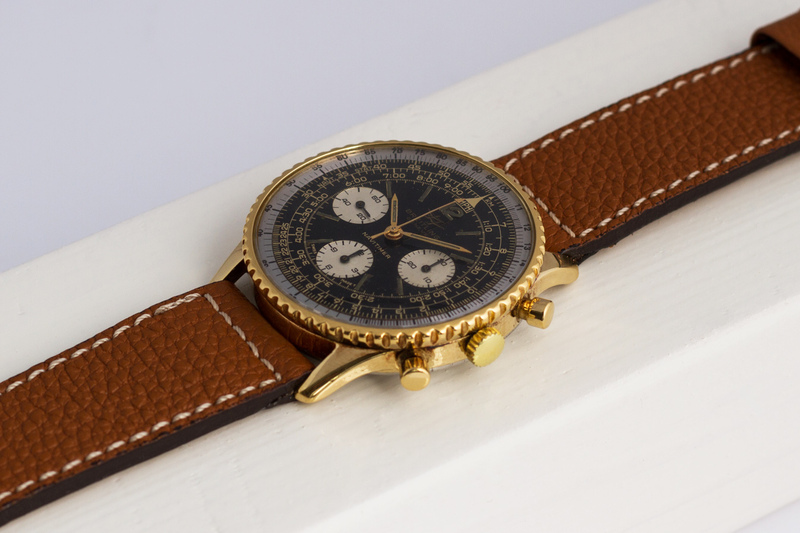 The gilt dial on this aeronautical ‘wrist calculator’ is exclusively found on the 18 carat gold and on the gold-plated versions of the Navitimer 806 – exactly like the one we’re offering here. The thick 20 micron gold-plated center-case does not have any loss of gold plating while the heavy gold-plated rotating bezel with big serrations is also in a perfect and damage free condition! 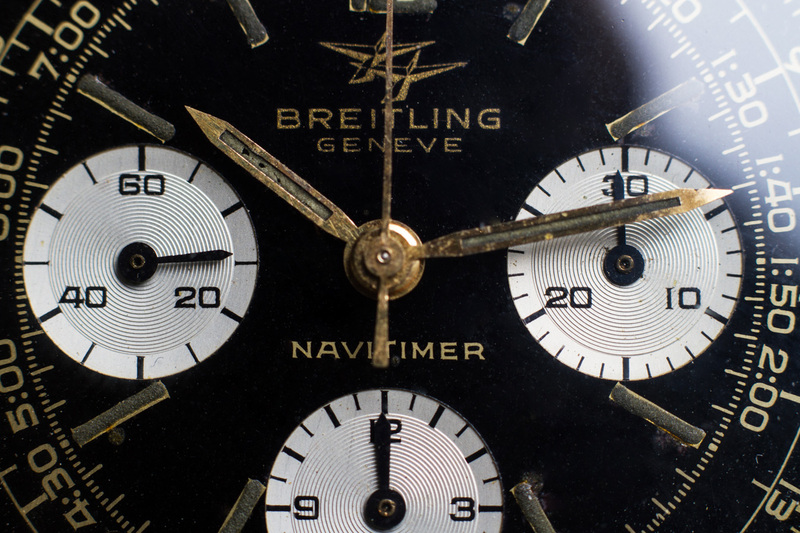 The bezel itself rotates in both directions and has a spotless silvered sliderule on the inside of the bezel which can be used to calculate groundspeed for instance. All original Tritium on the hour markers and on the number 12 are present and showing a dark green patina. 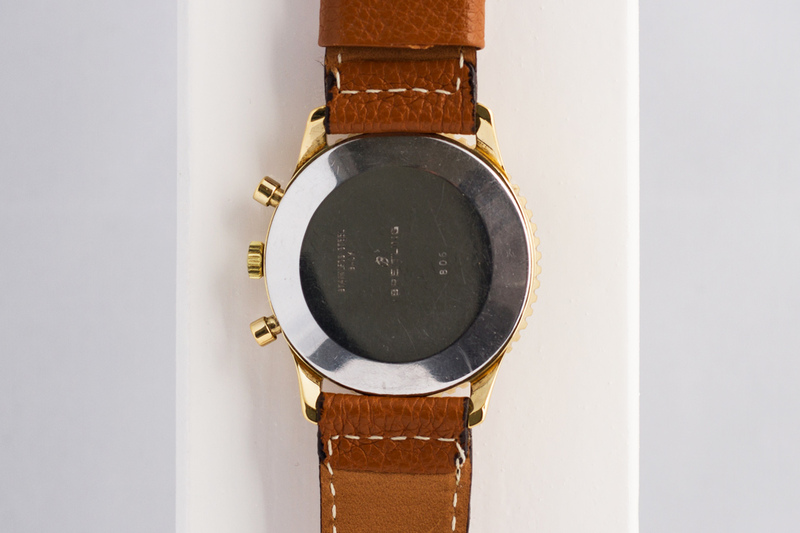 The complex semi gloss, gilt-printed dial is near perfect, showing only a few imperfections in some of the black areas. The beautiful silvery-white engine-turned sub dials are bright, clean and free from any damage. 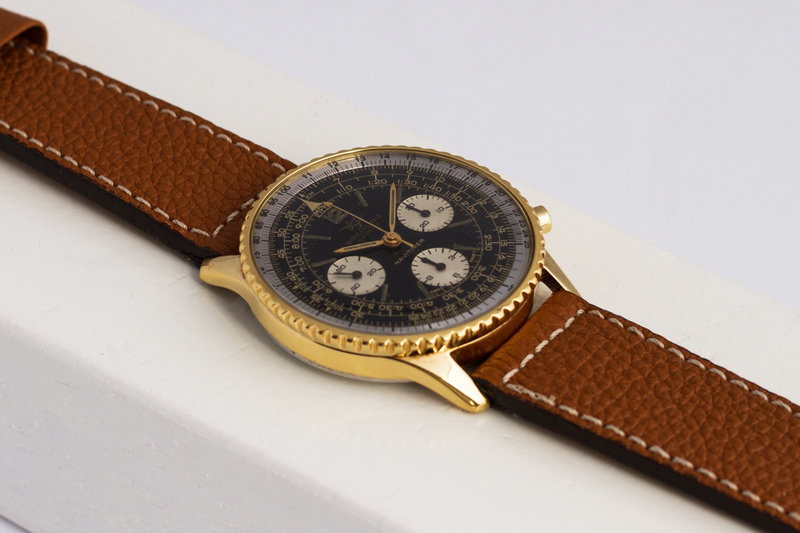 The Navitimer is fitted with a slightly domed acrylic crystal and has a stainless steel case back. 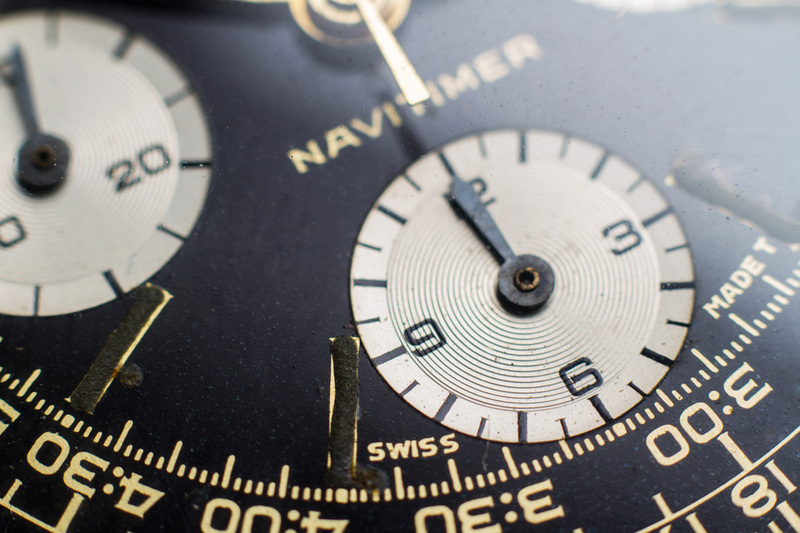 This Vintage Navitimer is one of the true archetypes for chronograph watches and a true classic which probably belongs in the top ten of most collectible vintage watches. The watch and its Venus 178 chronograph movement have been fully inspected by our watchmakers and the watch will be available with a 12 month warranty.